Volusia County’s master gardeners have been sowing and growing all year to assemble plants ideal for growing in Central Florida. Locals can purchase these verdant treasures from 8:30 a.m. to noon Saturday, April 6, during the 21st annual Master Gardener Plant Sale and Vendor Faire at the Volusia County Agricultural Center, 3100 E. New York Ave., DeLand. Bring a wagon and choose from a variety of butterfly and hummingbird plants, herbs and edibles, native plants, perennials, and trees. Plant and garden vendors also will be on site. Purchases may be made with cash or check only. Admission and parking are free. Pets are not allowed, but service dogs will be admitted. 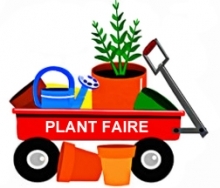 For a sneak peek of the plants, check out the Plant Faire Preview from 9 to 11 a.m. Friday, April 5, at the Agricultural Center. Plants will not be sold during the preview, but master gardeners will answer questions and discuss the landscape potential of the available plants. Proceeds will support the county’s Master Gardener Program. Master gardeners receive horticultural training from the University of Florida/Volusia County Extension and volunteer their time to answer questions and teach residents about gardening and landscaping. To learn more about the Master Gardener Program, visit www.volusia.org/master-gardener.